Papercuts JP: A new indie bookstore in my ‘hood! It’s always a boost for popular culture when a new brick & mortar bookstore appears on the scene, especially when it’s an interesting independent one. Here in my Boston neighborhood of Jamaica Plain, I’m delighted that a new indie bookshop called Papercuts JP is now open for business. 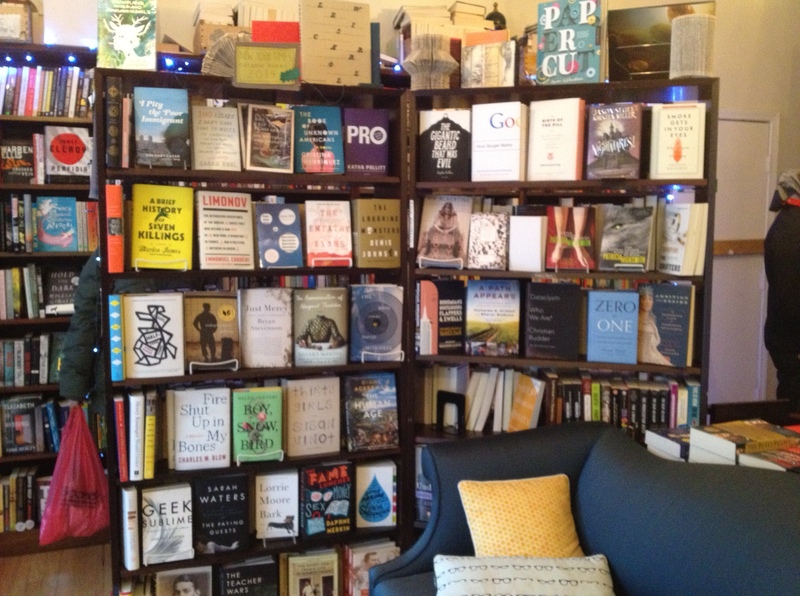 It’s a cozy little store that manages to stuff several thousand carefully selected titles into its 500 square feet. 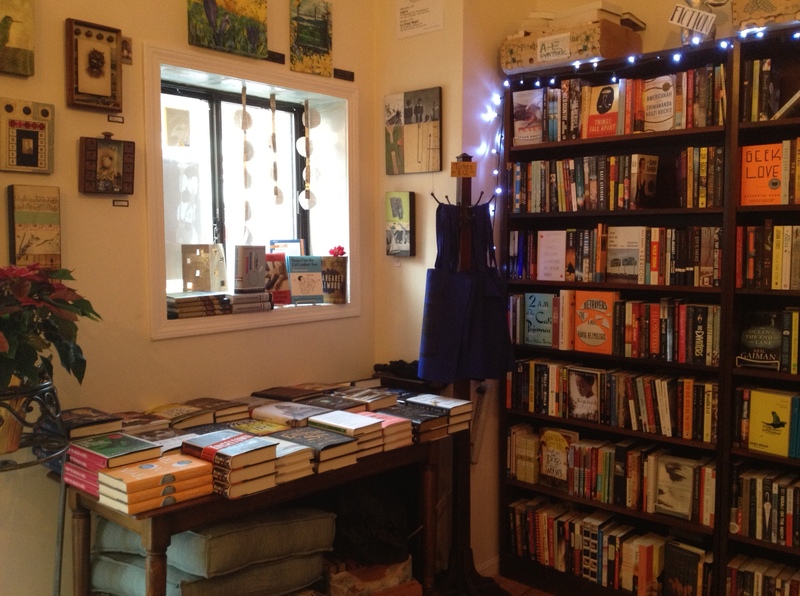 That was the risk Kate Layte took when she decided to open her very own indie bookstore in Jamaica Plain. Now, after two years of planning, learning, fundraising, and prep, the Central Mass. native will finally open up her new shop, Papercuts JP, to the public November 29, a.k.a. Small Business Saturday. …Layte, who says she is anti-genre, has already stocked the shelves with all sorts of gems. Starting out with about 3,500 titles, Papercuts has fiction, nonfiction, science and nature, art and design, humor, cookbooks, graphic novels, kids’ books, local books, poetry, biography and autobiography, and more. 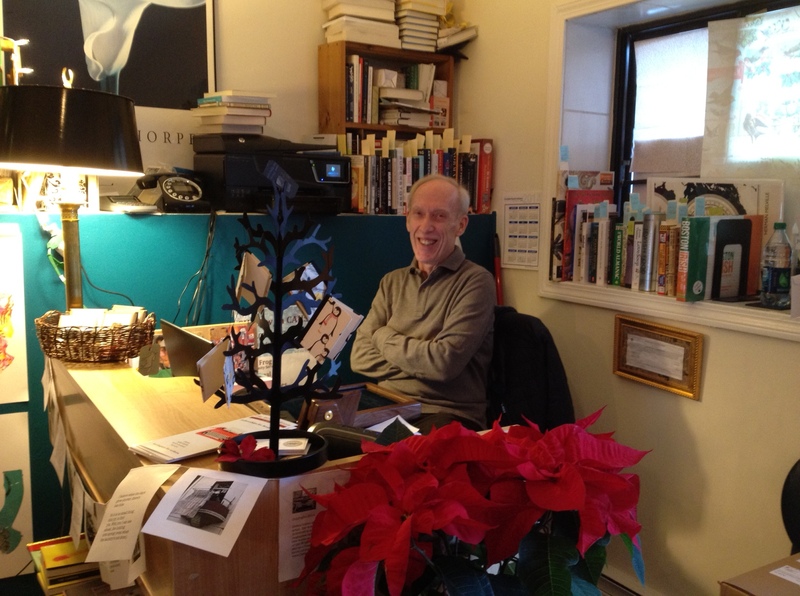 Although JP is home to a lot of writers, artists, and avid readers, it has been without a dedicated bookshop for several years. That’s among the reasons why Papercuts is such a welcomed arrival. It’s a grassroots effort all the way: Earlier this year, Layte did a crowdfunding campaign to raise seed money for the store. I was pleased to be among the sponsors, but I must admit, it was an act of faith. However, now that I’ve paid my first visit, I’m in awe of what they’ve packed into this little storefront. In the words of Oren Teicher, CEO of the American Booksellers Association, “The indie bookselling amalgam of knowledge, innovation, passion, and business sophistication has created a unique shopping experience.” Teicher is hardly a neutral observer, but the revival of independents can’t be statistically denied. Not only have numbers of stores increased, but sales at indies have grown about 8 percent a year over the past three years, which exceeds the growth of book sales in general. In sum, Papercuts has bonafide potential to become a lasting, enriching addition to the local business and cultural scene. I know that I’m looking forward to future visits! 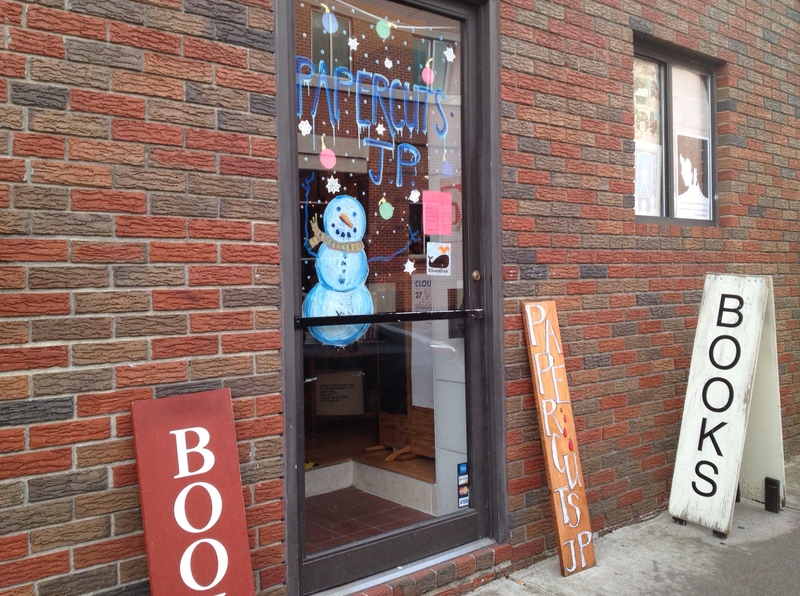 Papercuts is located at 5 Green Street, right off Centre Street in the heart of JP. You can check out their Facebook page here.